Metal Sign Supply Manufacturer Sells Quality Sign Making Supplies at Cheap Wholesale Prices! 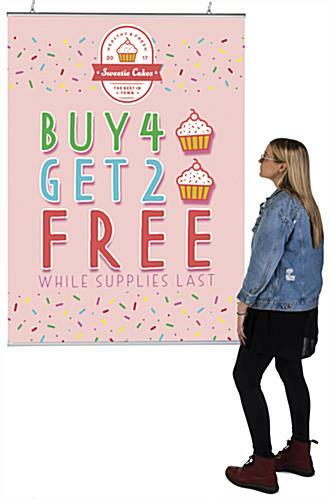 These Sign Supplies Allow You to Make Creative Exhibits Anywhere! Buy Wholesale Sign Making Supplies Online Now! 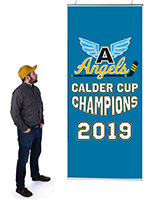 18" 22" 24" 27" 30" 36" 48"
These aluminum sign supplies are ideal when you have 6 foot banner to suspend! 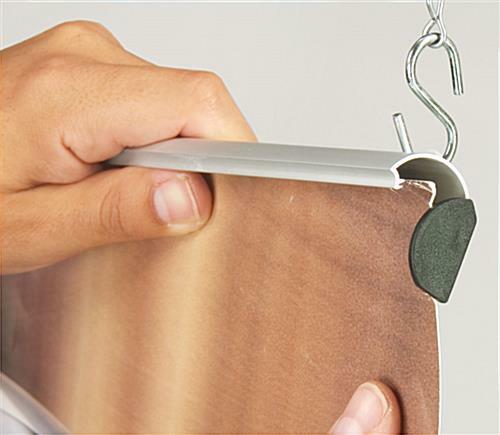 The poster hanger has a spring-loaded clip display that will clamp your banner tightly. 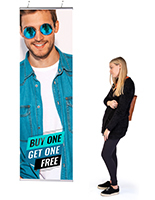 These aluminum sign supplies, similar to sign grippers or banner holding devices, can surely make a difference in your effort to provide a unique promotional display to customers. No reason for weighty framing that can make it difficult to suspend from a ceiling. 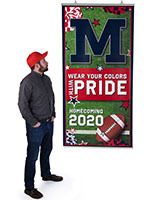 These lightweight aluminum sign supplies make it easy to suspend large-scale vinyl banners and posters in any business. These discount sign supplies for sale can effortlessly be set up by one individual! 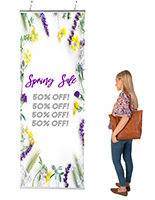 Sign supplies that are suspended from the ceiling, also known as artwork rails, are effective marketing tools that make changing displays fast and easy. 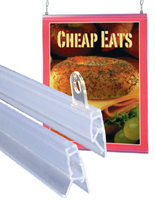 Big department shops and grocers prefer these fixtures as their premiere option for exhibiting signs in their venues. These aluminum sign supplies have an attractive satin metal finish that meshes well into every décor and does not draw attention away from the displayed banner. 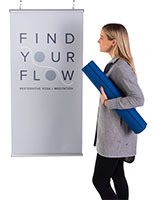 These banner-holding devices improve the marketing power of every commercial setting! Upgrade your advertising campaign now! These professional sign supplies on sale in several sizes are the ideal display tool for every setting! Top snap rail with two plastic eyelet clips attached. 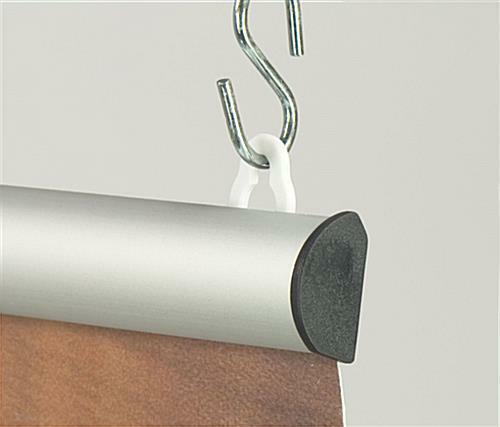 The clips are adjustable and slide to fit your hanging requirements. Bottom railing holds your graphics flat and taut.